Learning Spanish to save money tends to be more nebulous than other money-saving tips because it’s hard to put a dollar amount on how much you can actually save every week or month. But I do know that learning a little Spanish can help your life in so many ways, over and above just saving money. 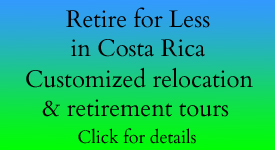 By learning a little Spanish, you can have a richer, fuller life in Costa Rica. 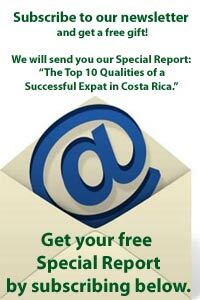 You’ll be less isolated and not confined to the Expat or English-speaking world. There are a lot of wonderful people out there and 80% don’t speak English. 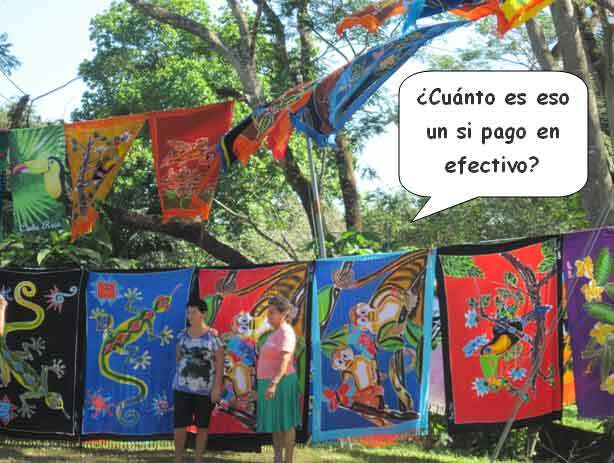 Even though there is little bargaining in Costa Rica as there is in other countries, like Mexico for example, there is a tendency of some to charge foreigners more. 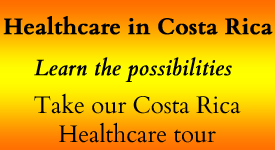 Speaking some Spanish puts you in the know and these events occur less frequently. There may be a “Tico price” and a “Gringo price.” What do you think can make the difference? Speaking Spanish. If they think you’re savvy, you’ll often get the lower price. Be able to question prices and ask why. Locals are more likely to protect you, and advise you when prices are out of line. Have a lot more fun! 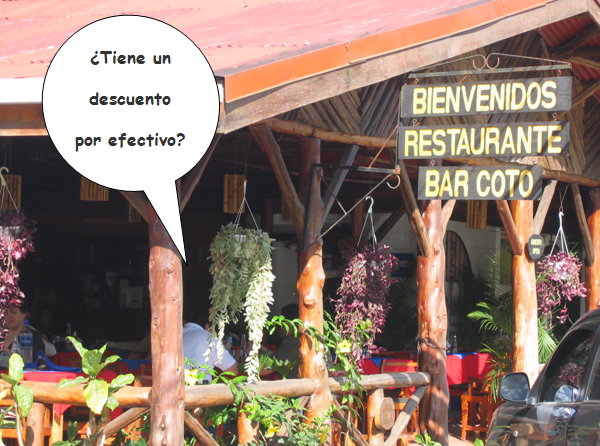 Don’t rob yourself…learn a little Spanish. In that light, we promote a great online Spanish course. It’s the one I bought for my wife, Gloria. Visual Link Spanish did what it advertised. Within the first hour, Gloria was speaking in complete sentences over a variety of topics. It also appealed to her learning style – it teaches using multi-sensory methods: you see it in pictures, you listen to the words being pronounced, you speak the words, you write them, & you repeat them. It gave her a 750 word vocabulary and allowed her to speak in both present and simple future tenses. It was enough to get her started communicating in a Spanish-speaking country. For those of you who don’t think you’d be any good at languages, or that you’re too old, then Visual Link Spanish is for you. But don’t take my word for it, try 11 free lessons by clicking here, and then decide.